any questions or comments, please contact Mr. Jaime Sturgeon, IB Coordinator, at 772-564-4369 or by email at Jaime.sturgeon@indianriverschools.org. 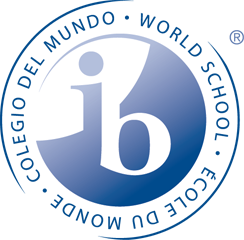 You can find excellent information by visiting the IB site at http://www.ibo.org -> middle of page under Students and Parents -> click on IB Diploma Programme icon. Once you have completed this, you will receive texts from me when I make changes to the website. My texts have a limited number of "characters", so I will send brief texts to tell you where to look for updates. Matt Maloney was one of 34 students in Florida to receive this honor. He has been accepted to the University of Florida to major in civil engineering. His favorite subject at Sebastian River High School (SRHS) is math, where he is a member of the math competition team, and his community service includes being president of "It's in the Bag," a student led and operated initiative, which provides meals to more than 400 students in our school district each week. When Matt isn't working hard on his scholarly duties, he enjoys fishing. Katelyn Wahl, an IB Senior, has been selected for the prestigious 2018 Florida Regional JSEHS STEM Research Competition. Katelyn was 1 of 24 students selected to present her research and answer questions from expert judges based on her IB Extended Essay in the field of Biology entitled: The Anti-diabetic Potential of Indian Ayurvedic Medicinal Plants: A Comparative Analysis of α-Amylase Inhibitory Activity. SRHS Diploma Students helped Liberty Magnet 2nd graders with their science assessment. IB students from SRHS, SRMS, and Liberty Magnet helped cleanup Treasure Shores Beach on Saturday, October 7th. Lesley Hernandez, President of the Sebastian River High School Red Kettle Club, was recognized by the Salvation Army for her volunteer efforts. Lesley established the first Red Kettle Club in the state of Florida as her CAS Project. Liberty Magnet IB School "Coming to America"
Planned and facilitated 5 stations for 2nd graders as part of their Ellis Island experience.